The thriving little city of Punta Gorda enjoys a pleasant year-round climate, relaxed lifestyle, and many recreational opportunities. 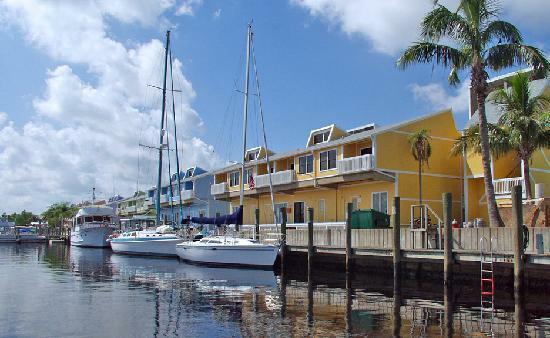 The friendly hospitality, year-round planned activities, shuffle board courts, great restaurants, golfing, fishing, and miles of sandy beaches make Punta Gorda an ideal vacation destination. Take a day to experience the most interesting waterfront complex-Fisherman’s Village. Here you will find a conglomerate of unique shops and restaurants. Look no further for all your vacation needs including boats, jet skis, and bicycles for rent. For the avid camper there is nothing quite like the Babcock Wilderness Adventures, which offers eco tours through acres of swamps, trails, and wildlife. Take a Swamp Buggy Tour through Telegraph Cypress Swamp. Be enthralled by the variety of flora and fauna. Keep a lookout for elusive panthers, bison, exotic tropical birds, and alligators. Once you emerge from the swamps, take a deep-sea fishing excursion in the Gulf of Mexico. Some companies offer sightseeing cruises to the outer islands, including full and half-day cruises. Enjoy a romantic sunset cruise, and be amazed at the most beautiful sunsets in Florida. If you want, try a round of Golf at the Punta Gorda Country Club semiprivate 18-hole, par 72 golf course. This tree-lined green boasts open fairways and great views. There is a driving range and pro shop, and rental clubs are available. At night, you should get out and sample some of the best fresh local cuisine. Offerings range from stew chicken and stew pork to whole fried snapper and snook filets. Restaurants range from open-air, thatch-roof structures to small romantic and upscale dining establishments.